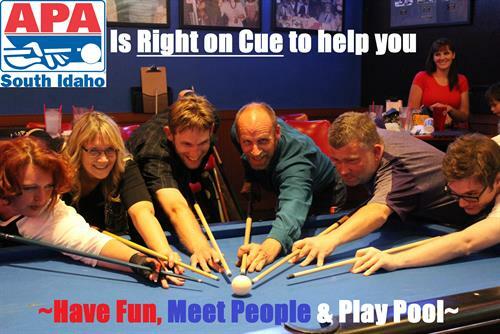 If you're looking to meet new people and even casually enjoy shooting pool, South Idaho APA Pool League brings together people from across the Treasure Valley with the same interests. This is a skill level handicap league where EVERYONE can play and ANYONE can win! The patented Equalizer handicap system allows any team to be competitive and keeps the sport fun all session long. 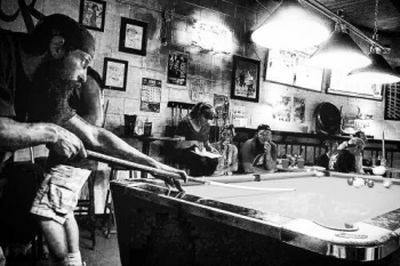 Use league night as your way to grow your business awareness through social marketing, or bring people to your bar, pool hall, or establishment with a pool table. 5 matches are played each week with 5 - 8 people on a team, so bring your friends and family for a night to reconnect and unwind. 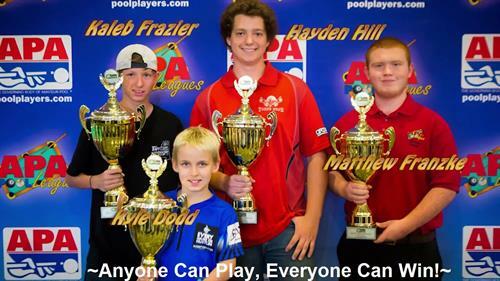 Teams compete throughout the league year for fun, patches, trophies, cash and a travel fund to send your team to Vegas to represent Idaho in the World Pool Championships in Las Vegas!! Unique tournaments are offered throughout the year to add to your league experience! Enjoy South Idaho APA sponsored events such as the player appreciation party at Ann Morrison or the APA Idaho Steelheads community days. 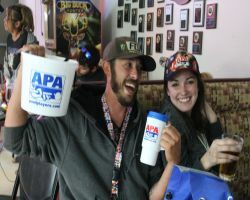 Whether you're looking for good competition, the opportunity to meet hundreds of people across the valley or just an excuse to get out on a weekday evening, South Idaho APA Pool Leagues has something for everyone. We look forward to seeing you on the tables! Fun Night Out With Friends & Family! Skill Level Handicap League ANYONE Can Play! Choose the home location where you will play 50% of your matches and the other 50% will be your AWAY games against other teams in your local area. Caldwell/Nampa and Boise/Meridian leagues offered.